Shoulder pain treatment in El Paso, Texas can be a difficult thing to find. This is especially true when you want the most effective treatment available. However, there’s a team in your area who is ready to help you find the physical therapy you need to help reduce your shoulder pain. The Border Therapy Services team of physical therapists at 836 Redd Rd, Suite B is here to help you with all of your physical therapy needs. There are many treatment methods that our team of physical therapists may include in your physical therapy program. Having many methods at our disposal allows us to better serve you by tailoring our treatment to your needs. One of the methods we may include in your shoulder pain treatment is electrical stimulation. Out of all the methods our El Paso, Texas team uses in our offices, electrical stimulation is one of the most effective treatment methods we use for shoulder pain treatment. But, we want you to know what’s involved with this type of therapy before it’s used in your treatment plan. The Border Therapy Services team of physical therapists will first attach adhesive pads to your shoulder in the area you’re feeling pain. These pads contain electrodes, and they are connected to a machine that produces low-power electrical waves by wires. Once connected, the electrical stimulation machine will send the low-power waves directly into the muscles and other soft tissues of your shoulder. You may be worried about feeling a large shock during your treatment. Our team wants to reassure you that there will be no large shock from electrical stimulation. What you may feel, however, is a warm or tingling sensation as the electrical waves sooth your shoulder. Electrical stimulation may be included in your shoulder treatment because of the benefits it offers. The most significant of these benefits is that we may be able to reduce your shoulder pain with this therapy. There are two theories for how this therapy may bring about your pain reduction. One theory is that the electricity from the treatment blocks pain receptors in your shoulder. This keeps them from sending pain messages to your brain. Since your brain receives no pain messages, it doesn’t send out the signals that make you feel pain. The second theory is that the low-power electrical waves encourage endorphin creation. Endorphins are your body’s natural pain relievers, and their production in response to electrical stimulation is what may reduce your shoulder pain. We may even be able to help speed up your recovery process by using electrical stimulation along with other therapy methods. Are you ready to begin your recovery process? 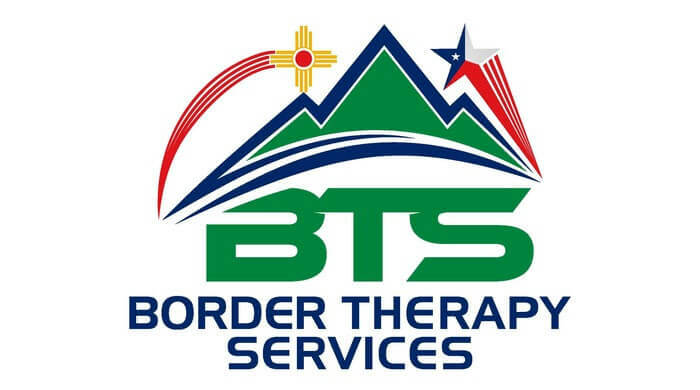 Contact Border Therapy Services at our 836 Redd Rd, Suite B location in El Paso, TX today to schedule your first shoulder pain treatment session.